7. Comment on any blog post. You can comment from past and recent blog posts published. 8. 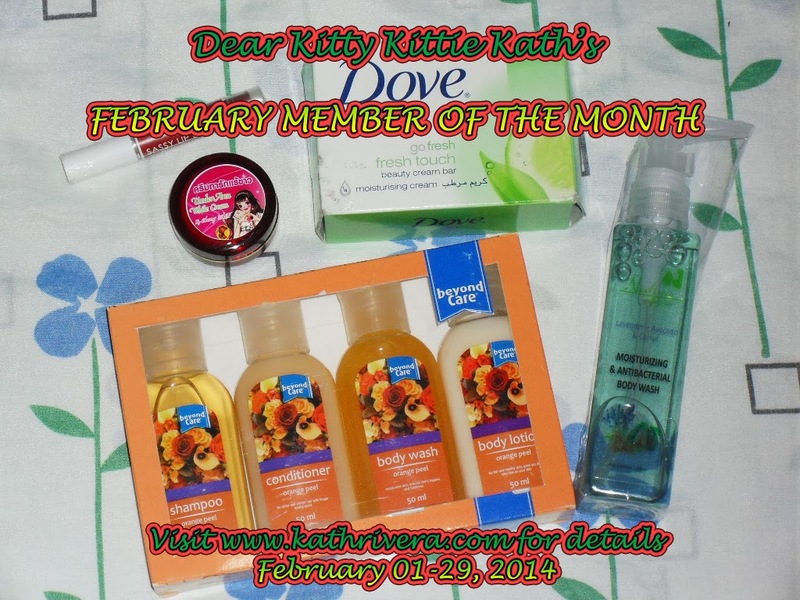 You can also comment on Dear Kitty Kittie Kath's Facebook Page. 9. The Member Of the Month will be announced on the last day of the month. 11. Free shipping of prizes. 12. MOM will be based on the frequency of relevant comments, total monthly visits and activity on Facebook page. Congratulations to the winner,So LUCKY! thanks ms.Kath,. im so blessed na ako napili mo,. love reading your blogs,. that's an interesting gift,congratz to the winner. This is an excellent way to reward your loyal followers. @Sheryl An Mungcal-Congrats dear, items shipped today. Enjoy! I'm not a MOM but, I'll definitely share this to my friends! Congratz to the winner! nareceive ko na yung gifts, ipopost ko na lng sa FB,. Nice prizes for Feb MOM! Congrats Sheryl. @The Grim Phreaker- hello there! Anyone can join :) Thanks for sharing! @Sheryl An Mungcal- enjoy dear and thank you for supporting the blog.